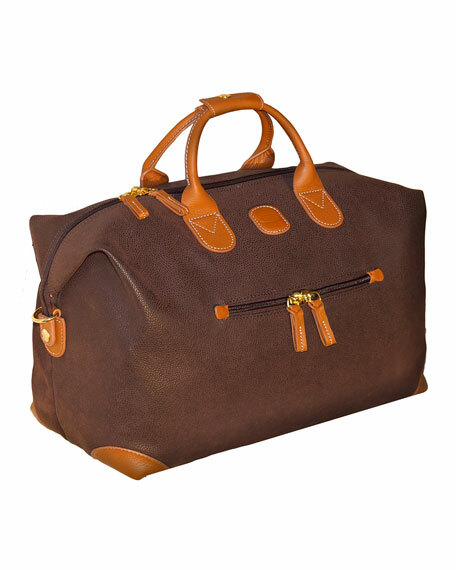 Duffel made of durable sueded PVC with cognac Tuscan-leather trim. 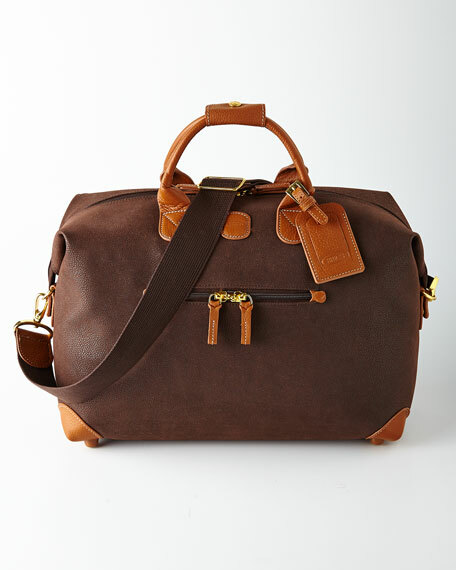 Conforms to FAA guidelines for carry-on luggage. 18"W x 8"D x 10"T.